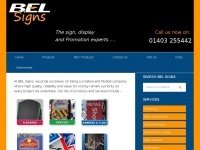 BEL Signs of Horsham are the area's leading sign and display companies and specialise in everything the modern buiness needs to promote and advertise itself. 6 links pointing to Belsigns.co.uk were found. 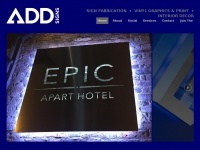 Individual words like Group, Part, BELsigns and Website are frequently used in text links from other websites. The most important links to the website are from Brass-plaques.co.uk and Southwatersports.co.uk. 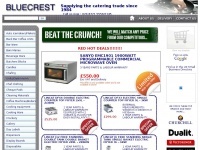 The homepage of Belsigns.co.uk and the subsite are most referenced by other websites. The table shows the most important links to Belsigns.co.uk. The table is sorted in descending order by importance. 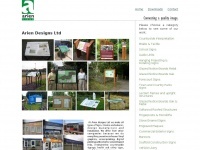 The table shows websites of Belsigns.co.uk, which are often linked by other websites and therefore they are classified as important content. 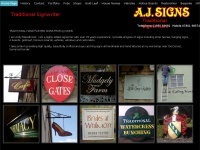 Ariensigns.co.uk - Arien Signs - Sign Ma­ker in Ched­dar So­mer­set - ..
Aj-signs.co.uk - Home Page - Aj Signs Traditio­nal Signwriter Dor­set, ..